Size of this preview: 800 × 517 pixels. Other resolutions: 320 × 207 pixels | 640 × 414 pixels | 1,024 × 662 pixels | 1,280 × 828 pixels | 2,048 × 1,324 pixels. 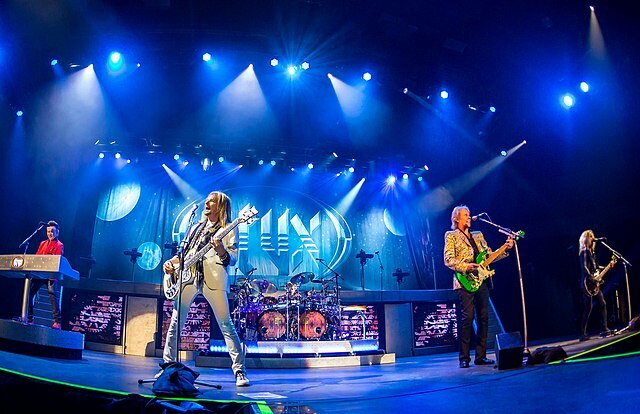 English: Styx performing at the HEB Center in Cedar Park, Texas on July 31, 2017. This image was originally posted to Flickr by RalphArvesen at https://flickr.com/photos/92973599@N04/35552508153. It was reviewed on 7 August 2017 by FlickreviewR and was confirmed to be licensed under the terms of the cc-by-2.0. This page was last edited on 12 August 2017, at 20:24.